While there are no known or credible threats to New Jersey, the holiday season is marked with numerous festivals, outdoor gatherings, and large-scale events that offer attractive targets for terrorist organizations and extremists. During this presentation, we will discuss current terrorist tactics and trends, as well as threats to critical infrastructure associated with this time of year. Terrorist attacks cause psychological trauma that can be just as serious as any physical damage. For this webinar, we talked to Steven Crimando about the impact terrorist attacks have on individuals and communities, as well as mechanisms and strategies individuals can use to mitigate the personal impact of these attacks. In 2016, 12 ideologically motivated attacks resulted in nine police officer fatalities. Additionally, over half of these incidents were preplanned. Over the last several years, the range of extremist that consider law enforcement a target has expanded and includes individuals of varied ideologies. For this presentation, we reviewed the extremist threats that have targeted law enforcement and the tactics used. In 2015 and halfway through this year, our country has endured 19 attacks and nine plots from domestic terrorist groups, resulting in the deaths of 16 people. 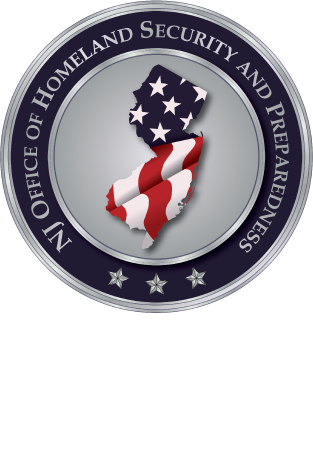 On May 6th, the New Jersey Office of Homeland Security and Preparedness, in coordination with the Regional Intelligence Academy, hosted a conference to discuss domestic terrorism on a national and regional scale. ISIS vs al-Qa'ida: "Battle of the Brands"
Since the Islamic State of Iraq and Syria (ISIS) announced the creation of their self-proclaimed Caliphate in June of 2014, they have been in open competition with al-Qa'ida for leadership within the global jihadi Salafist movement. In this webinar, we discussed the various forms this competition takes across the globe and what the implications may be for the United States. The past year was one of the most active we've seen since 9/11, beginning with the attacks in Paris in support of al-Qa'ida in the Arabian Peninsula against the magazine Charlie Hebdo and ending with the San Bernardino shootings just last month. In between, we've seen dozens of plots carried out by terrorists across the country with a broad range of ideological motives and targets. On Friday, at least seven terrorists conducted coordinated, near simultaneous attacks in Paris. The Islamic State of Iraq and Syria has claimed responsibility for the attacks which have claimed more than 100 lives. During this webinar we discussed what information has been confirmed about the attack as well as the potential homeland security implications. This webinar discussed the basic foundations of radicalization by providing a clear working definition, examining key indicators and debunking several myths. In August of 2014, the New Jersey Office of Homeland Security and Preparedness (OHSP) began a dramatic reformation of its intelligence capabilities. The new Analysis Bureau was charged with becoming the primary state subject matter experts on terrorism issues for the Governor, Legislature, and other state entities. In the days leading up to the September 11 anniversary, both al-Qa’ida and the Islamic State of Iraq and Syria (ISIS) released extensive new propaganda pieces issuing new threats and calling for attacks. Cyber threats and security continue to dominate the news as data breaches, doxing attacks and other attack methods target government, private sector and individual victims. In this webinar, the New Jersey Cybersecurity & Communications Integration Cell (NJCCIC) cyber analysts talk about a series of three topics.